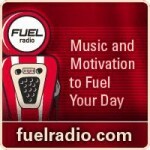 I recently did a fun interview with Rod Janz from Fuel Radio Inspired. For those of you who know I’m spiritual, and not religious, note that I am quite impressed with Rod’s site – it’s totally cool. And, for those wishing to learn Buying Facilitation™ as a result of being inspired by the interview, see the many choices on BuyingFacilitation.com.